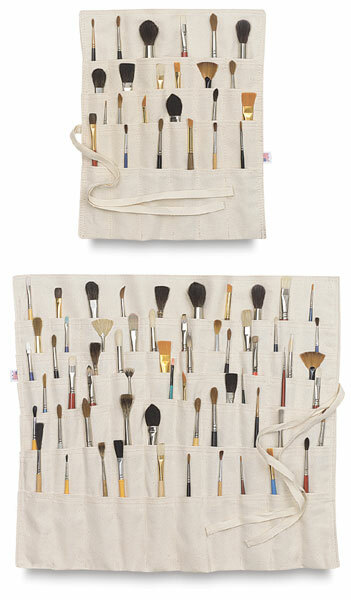 For holding up to 60 brushes close at hand. 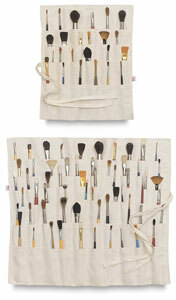 Each 1-1/2" wide pocket holds 1 large or up to 4 small brushes. Made of heavy-duty, natural-cotton stitched canvas. Roll-up and carry or store. Also a smaller version with 24 pockets. A smaller version of the organizer, it measures 12½" × 12" (30 cm × 12 cm) with 24 pockets.